When you move into apartments near Spring, you are starting over with a blank canvas. Every space works differently and looking at a new, empty space can be overwhelming. Well, fear not residents! For this blog post, we’re sharing some design tips to help you decorate your Rise Spring Cypress and make it feel like home. Alright residents, let’s get this blog started! Oh, and when you finish reading through it, please feel free to share the link to this page with your friends. Better yet, share it with one of your neighbors at Rise Spring Cypress — the new apartments Spring, TX residents choose for luxury living. An often overlooked design trend is window treatments. Depending on your space and design taste there are a lot of ways to go about dressing up your windows. Choosing a floor-length treatment will add some depth and height to your apartment, and work for most window types. If you decide to go this route be sure to keep the fabric in mind. Going with a lighter fabric will keep your room bright and airy. Heavier fabrics, like canvas, might actually make your space appear smaller than it actually is. The opportunities are endless with apartments near Spring units. Adding bold, colorful statement pieces will take your space to new heights and make it stand out. If you are in the market for new furniture consider a non-neutral color for your next sofa or chair. Painting existing furniture is another way to go bold without breaking the bank. Giving an old table or shelf a facelift is an easy DIY project and will add a new layer of freshness to your space. The area near the door might look like dead space, but there is so much room for potential here. Take advantage of your units entryway by adding hooks, racks or a floating shelf. This will help keep your outerwear, shoes and miscellaneous items organized and easily accessible. Etsy is a great spot to look for unique hooks and racks. Adding a mirror here will reflect light and help make the whole room seem bigger. 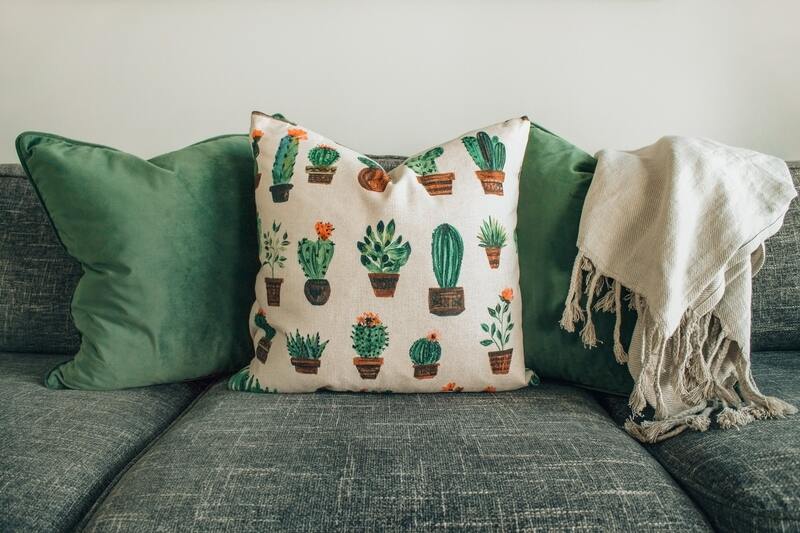 These are only a few ways to add some flair to your apartment. Finding a style that works for you can take some time, so don’t worry if your vision doesn’t come together right away. We’ll be back in a couple weeks with another brand new blog post! Until then evaluate your space and see how you can incorporate these design tips. Be on the lookout for that, and be sure to check back to read it right when it goes live. Of course, we have to take a moment to thank those of you who took some time out of your busy schedule to read our latest brand new blog. We love writing these posts, and we love that you enjoy reading them! If you liked this week’s blog so much that you want to see the next one right when it goes live on our website, we encourage you to bookmark our blog page. That way, you’ll be able to enjoy easy access to all the future blogs that we put up on the site. In the time between now and when our next post goes up, you can keep up with everything happening at Rise Spring Cypress by following us on social media. After all, there’s no faster or easier way to stay informed about upcoming resident events, special giveaways and promotions happening at your favorite community of new apartments near Spring, TX.